Who else but Morrissey could pen such a lyric? Pair that with Johnny Marr’s instantly recognizable jangly guitar and you might wonder how anyone could possibly stand up to cover any song by The Smiths. Many bands try but very few succeed. Dum Dum Girls, the noise rock project led by Dee Dee Penny, have managed it, in my opinion, with their version of “There is a light that never goes out”. The original appeared on The Smiths’ third record, “The queen is dead”, and is considered by some to be among the band’s best work. It’s got Marr’s aforementioned jangle, some synthesized strings, and of course, Morrissey’s warble, all typically morbid and depressing. It’s tone is melancholy in its regal, unhurried sound, a song that many a teenager has spun in their bedroom to soundtrack their breaking heart. Dum Dum Girls’ cover appeared as the final track on their 2011 EP “He gets me high”, which was produced by Raveonettes’ Sune Rose Wagner and by Richard Gottehrer (writer of 60s girl group hits, like “My boyfriend’s back”). Their version is bigger, brasher, and faster. The arrangements are the same but the sound is completely different. There are noisy guitars and heavy-footed bass drumming, and Dee Dee’s vocals are exuberant and thrilling in the pure emotion created by fresh love. I’m not even close to admitting it to be better than the original, but Penny and her Dum Dum Girls, gave “There is a light” a pretty sweet makeover for a date night on a town. What do you all think? 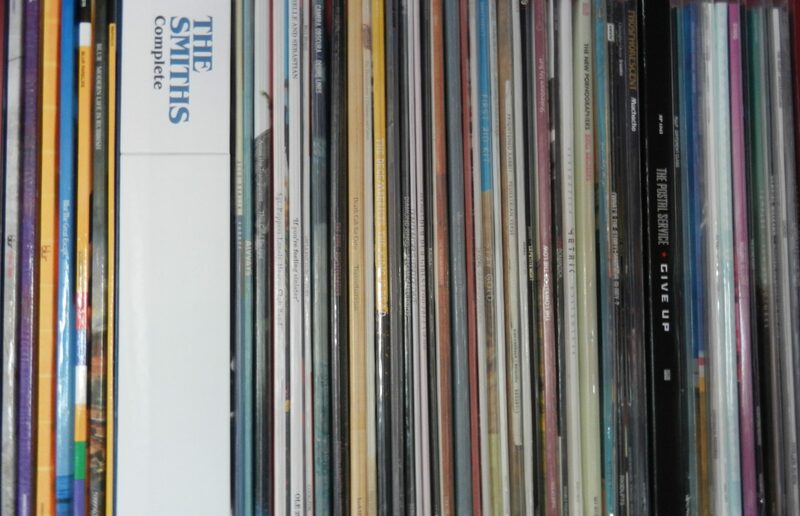 Covering the smiths likely qualifies as a ‘bold move’ – like you, I’m not quite ready to declare this as superior to the original, but it’s a good take, especially the chorus harmonies! It’s a pretty sweet sound, isn’t it? I wonder what Mozzer would think? It’s decent enough but not a patch on the original IMO. Just lacks the bittersweet swell I get when I hear the original.